Zip fastening at the back . 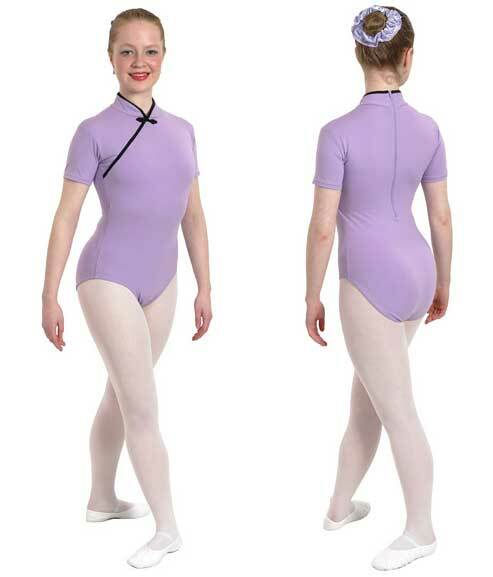 Two tone cap sleeve leotard. Velvet Lycra top with nylon Lycra or cotton Lycra bottom. See through stretch lace top. 3/4 length stretch lace sleeve. Round neck at the front. High neck at the front and back. Square neckline front and back. Two tone or bi-coloured leotard. Contrasting panel front and back. Sparkling crystal gem stones in two front panels. Square neckline front and back with 1.25 inch (3.2cm) wide strap. Two tone velvet/nylon or velvet/cotton leotard. 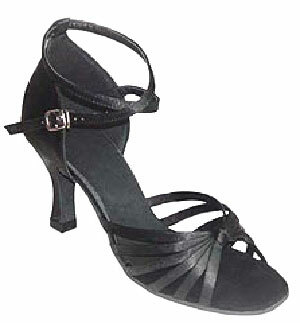 1.25 inch (3.2cm) wide straps. Low back with double spaghetti straps criss crossed. Contrasting flag shaped inserts on both sides. Low back with criss cross straps. Contrasting neckline and flag shaped inserts (on both sides). Double spaghetti straps criss crossed. Halter neck with snap fasteners at back.